Please note you need to be logged in to access these. Citrus Australia wants strong protection for the Australian citrus industry. We provide information and guidelines to help citrus growers protect their orchards, their communities and the industry against plant diseases such as Citrus canker and Huanglongbing (HLB, or Citrus greening). Commit to improving biosecurity and quarantine systems that increase the competitiveness and ensure the ongoing viability of the Australian citrus industry. Support increased awareness and education. Provide more clarity around owner reimbursement costs for incursions. Support information and analysis obtained from pre-border, border and post-border biosecurity activities be made available for use by state and territory governments, industry and research organisations. Enhance government funding for activities which support biosecurity-related technical market access. Support the implementation of the national fruit fly strategy. 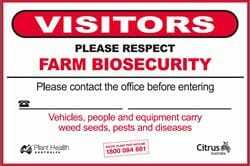 Growers can build their own biosecurity toolkit as well obtain important information and fact sheets from the new Farm Biosecurity website. Every citrus grower can now get practical farm-based biosecurity information on the new site which is the face of the Farm Biosecurity Program – a joint initiative between Plant Health Australia (PHA) and Animal Health Australia (AHA). 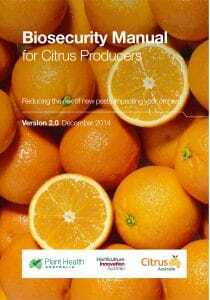 Citrus Australia, in partnership with Plant Health Australia and Horticulture Innovation Australia, launched the Biosecurity Manual for the Citrus Industry. 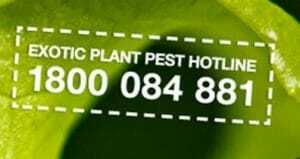 For more information contact Plant Health Australia. 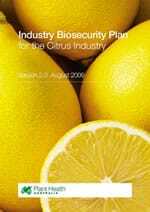 The Citrus Industry Biosecurity Plan (IBP) provides a framework for biosecurity risk mitigation measures in the industry. An incursion management plan for huanglongbing (citrus greening) and its vectors was developed for the citrus industry by Pat Barkley in conjunction with Professor Andrew Beattie.